Long days in the saddle and new routes stopping over at a friendly guest house. We look forward to welcoming previous customers on this trail. The Bettws Trail was first offered to riders in 2014; it has proved extremely popular with fantastic long riding days and great accommodation. 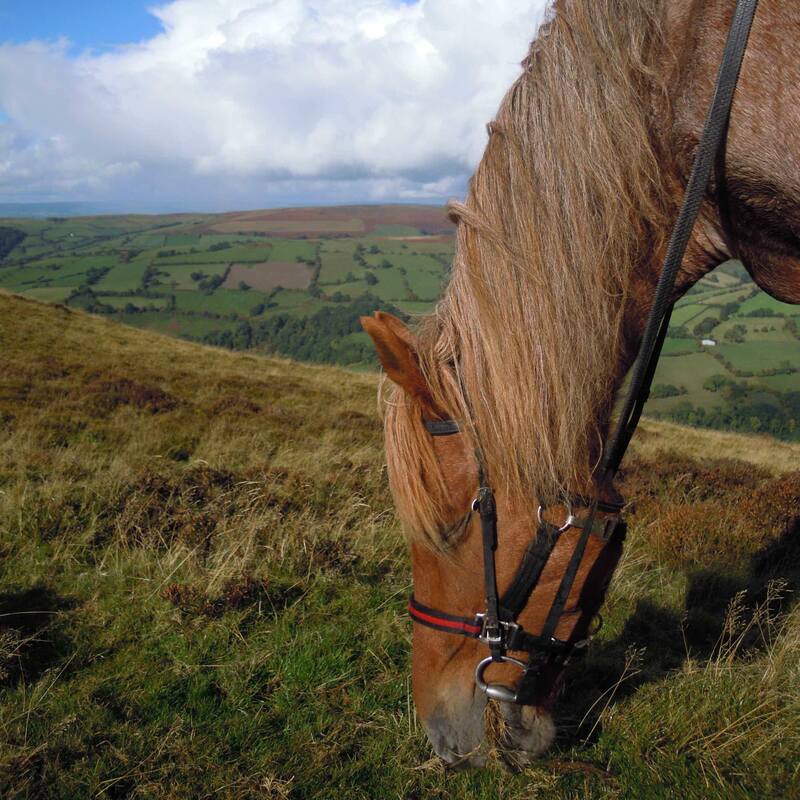 This trail ride starts at Freerein HQ and heads over Begwns, then travels the length of Glascwm Hill and Gwaunceste Hill. From the mysterious four stones you head directly west dropping down from the open hill and following a variety of old green lanes leading to the tiny hamlet of Franks Bridge just north of Hundred House. This is a good long day on trail so you will need to trot out the old lanes and enjoy a canter on the hills. The ride comes to a finish at the tiny hamlet of Bettws where you rest the night at either Little Bettws, Glanoer & Bettws Mill guest house’s. 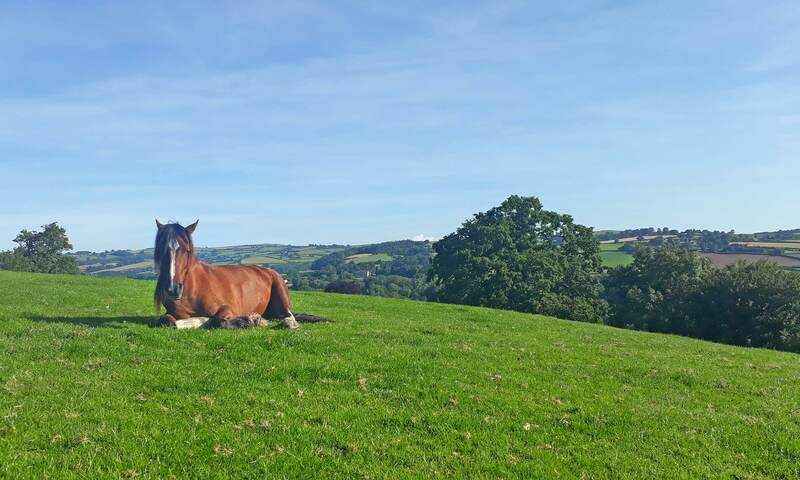 Your friendly and attentive hosts enjoy looking after Freerein riders. A real home cooked meal can be enjoyed with a beverage or two. Please remember to bring any alcoholic drinks you require and we will drop them off with your luggage as guest houses are not licensed. Having enjoyed a night in a field next to the accommodation your horses will be keen and eager to get going on trail for the second day. Making an early start your different route for the next day takes in Aberedw Hill then the option to lunch at Roast Ox Inn on the return route. From here enjoy a last canter over the hills to Freerein HQ. Please note that this trail ride is only offered to those with previous experience of one of more Self Guided trail rides with Freerein. If you are contemplating your first Self Guided trail with us you can view a selection of suitable trails by following this link: horse riding holidays. 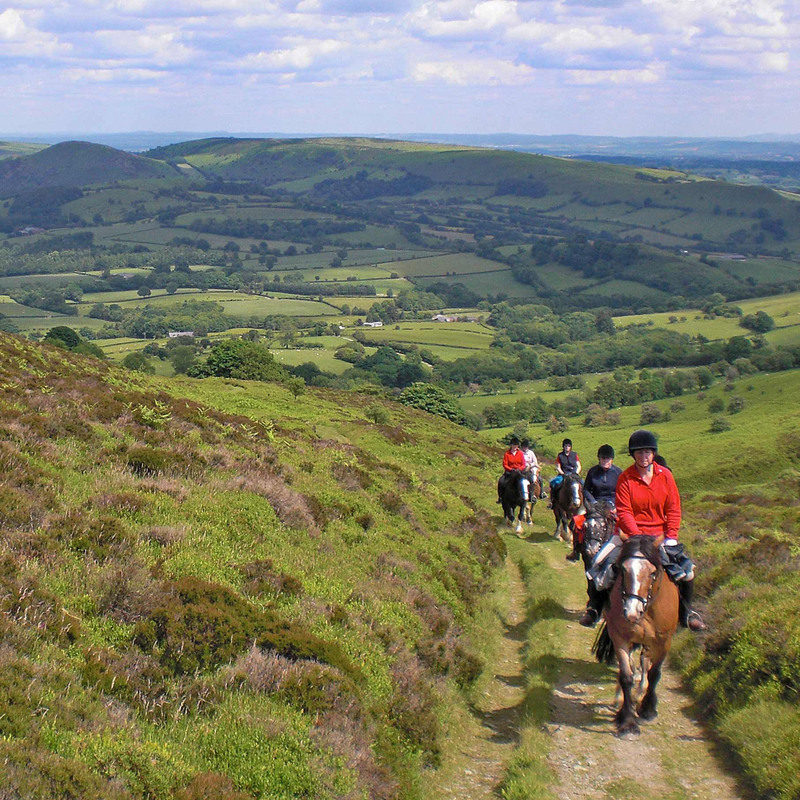 If some members of your group have done previous Self Guided trails and others haven’t, bookings on Freerein+ trails such as this one should be suitable for you and you are most welcome. If you are unsure please do not hesitate to contact us for a chat. This trail has fantastic, long, challenging days in the saddle. Arrive at Freerein HQ at 9am. Meet your horses and study routes. Out on trail all day to stay at Bettws Mill, Glanoer or Little Bettws Guest House's. Relax for the evening at your accommodation. Return to Freerein on a different route. Option to stop for lunch at Roast Ox - early start recommended. We loved this trail especially exploring new routes and staying in new places . . . Many of our holidays have a number of different accommodation places connected to the specific trail route that you are booking. Freerein book the places you stay at. You do not have a choice of accommodation as we book the best available to suit your group . Your accommodation places are confirmed in writing when you are invoiced.